The Department provides educational work at the 8 departments of KZOZ “Kharkiv Regional Children Hospital”, Regional Perinatal Center KZOZ "Regional Hospital - Center for Emergency Care and Disaster Medicine", Department for the Newborns of Kharkiv Regional Clinical Perinatal Center, Kharkov Regional Specialized Orphanage № 1, Kharkiv Policlinics № 2. The department works with national and international 5th and 6th year students (including English-speaking) in specialties "Pediatrics", "General medicine", "Medical prophylaxis" with subject "Pediatrics" and "Childhood diseases". There were prepared numerous training materials and tests for the licensed tests "Step 2", "Step 3". 8 phantoms for emergency care for children of all ages are eligible for acquiring practical skills. 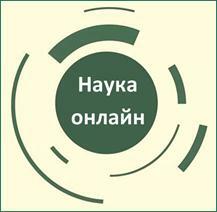 The main scientific interest of the department now is an implementation of new technologies for diagnosis and treatment of children with different somatic pathology in Kharkiv and Kharkiv region. There 4 doctoral, 18 candidate and 10 master theses were finished for the last 5 years. 35 patents on invention were obtained. 255 papers and more than 200 abstracts were published. Some members of the stuff successfully participated at the international fellowships (Open Medical Institute, Austria; University of Cambridge, UK; Cardiff University, UK). The scientific results were presented at the numerous international conferences and congresses at Moscow, St. Petersburg, Voronezh (Russia), Budapest (Hungary), Berlin, Frankfurt, Munich (Germany), Athens (Greece), Nice, Paris (France), Stockholm (Sweden), Barcelona (Spain), Glasgow, London, Cardiff (UK) etc. Regional Perinatal Center KZOZ "Regional Hospital - Center for Emergency Care and Disaster Medicine"
Department is an official clinical base of Pharmacological committee of Ukraine for the international global clinical trials. The main clinical base of the Department of Pediatrics № 1 and Neonatology is a Kharkiv Regional Clinical Children Hospital with a numerous specialized departments: cardiology, nephrology, gastroenterology, pulmonary, endocrine, neurology, diagnostic department, otolaryngology and surdology, ICU and anesthesiology. The clinic is equipped for functional studies cardiology, pulmonology, immunology. Professors and Associate Professors of the department perform an everyday ward rounds in clinical departments as well as weekly clinical and pathomorfology conferences. 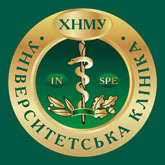 There are other clinics within the clinical activity of the department on addition to the main one: at the Policlinics № 2, Regional Perinatal Center KZOZ "Regional Hospital - Center for Emergency Care and Disaster Medicine", Department for the Newborns of Kharkiv Regional Clinical Perinatal Center, Kharkov Regional Specialized Orphanage № 1. On addition to this members of the department are supervisors of five Kharkiv region districts in medical, methodical, therapeutic and educational work with both medical staff and with the public. Department of Pediatrics and Neonatology number 1 (title of 2008) is one of the oldest departments of pediatrics in Ukraine. Its history dates back to 1892, when the Kharkov University opened the first Department of Children's Diseases, headed by prof. Ponomariov. Later the department was headed by prof. Troitsky (1902-1919. ), Prof. Arkavin (1919-1929), Prof. Frishman (1929-1944), Prof. Belousov (1944-1965), Prof. Dobrohayeva (1965-1972). From 1972 to 2002 the department was headed by Academician of Higher School of Ukraine, Honored Worker of Science of Ukraine, MD, Professor. Valentina Prikhodko. During years of activity she had got a numerous state awards: the Order of the National Flag of Labor, the medal "For Valiant Labor"; for the development of the scientific problems of diagnosis and treatment of acute broncho-pulmonary diseases bronze medal ENEA. Under her leadership, there 8 doctoral and 39 candidate theses were performed. Prof. Prikhodko is author of 440 paperss, 3 books, 6 textbooks and 6 monographs. From 2002 to 2015r.r. department was headed by MD, Professor. Ganna Senatorova - student and disciple of professor Prikhodko. Professor Ganna Senatorova is the author of 623 scientific publications, 14 manuals, 1 textbook, 34 patents on invention, 9 manuals, 16 innovations, co-author of 4 books. Professor Ganna Senatorova prepared 5 doctors of science, 14 candidate of science and 16 master degree holders. Professor Ganna Senatorova led the pediatric faculty of Kharkov State Medical University. 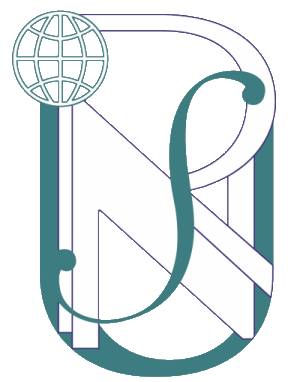 Since 2015 the department is headed by MD, Professor Margaret Gonchar - student professor Valentina Prikhodko and professor Ganna Senatorova. She is the follower of the traditions of Kharkiv pediatric school. Professor Gonchar is the pediatrician and pediatric cardiologist of highest category, author of over 200 scientific and methodical works, co-author of 3 books, 5 textbooks, 6 patents for invention.